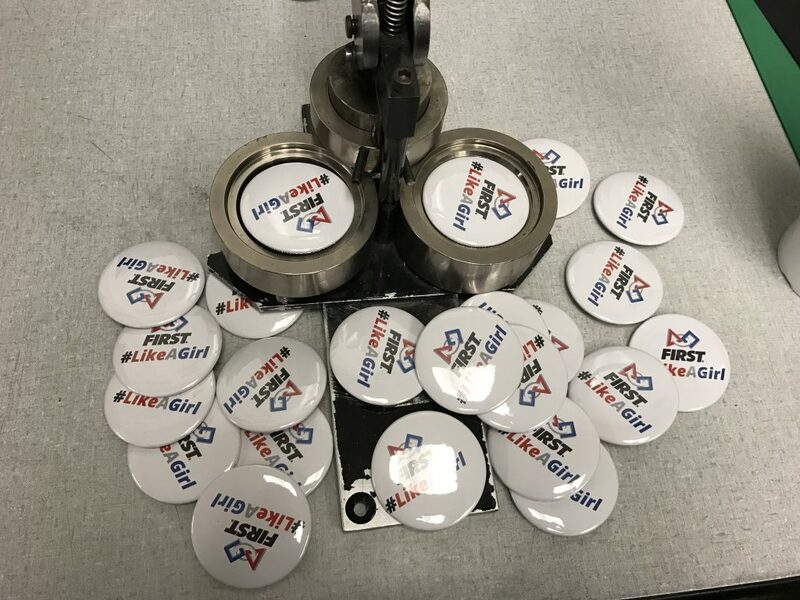 To spread encouragement and support for one another, together we have distributed more than 20,000 #FIRSTLikeAGirl buttons. These buttons have successfully traveled the world to encourage and empower girls everywhere. However, there are over 600,000 FIRST student participants, plus mentors and volunteers and our efforts so far have only been a drop in the bucket. We are looking for even more partners to help us spread the message even further and offset the cost of making more buttons. We hope you will help girls around the world get inspired to pursue their interests in STEM! Not guaranteed to work with all types of button machines. Please test before printing in bulk. If you need a different size button template, please just complete the form below and let us know. Want to sponsor, distribute or need help with buttons? Thank you to the following initial sponsors of the #FIRSTLikeAGirl buttons! for lending us the button machine.